If Michigan’s economy is to become more innovative and entrepreneurial, as Gov. Rick Snyder says it must, then it will need more start-up companies like 3D Biomatrix in Ann Arbor. The company, spun out of research at the University of Michigan, produces three-dimensional cell culture plates used in medical research. Its products could lead to major breakthroughs in stem cell and cancer treatments by researchers who largely must depend on two-dimensional cell views. But bankers generally view tech start-up companies as too risky for conventional bank loans. Start-ups need lots of venture capital from private investors, an industry Michigan has been working for decades to develop. 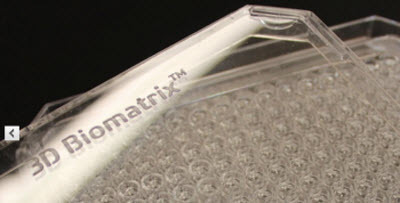 3D Biomatrix, which was launched in 2010, owes its existence, and its future, to an initial $655,000 investment by a consortium led by Ann Arbor Spark, a local economic development agency, and the Michigan Economic Development Corp. The company also recently landed a $1.6 million investment from a Michigan angel fund group. Angel funds are a type of venture financing in which wealthy individuals pool their own money to invest in companies. “We wouldn’t exist if we didn’t have this investment,” said Laura Schrader, 3D Biomatrix’s chief executive officer. Michigan entrepreneurs have long complained there isn’t enough venture capital available to launch promising technology companies that can help the state reduce its reliance on the up-and-down auto industry. But several experts say Michigan’s venture capital industry, while small by West Coast standards, is finally getting big enough to support the entrepreneurial growth needed to help revitalize the state’s economy. Venture capital firms invest their equity mainly in technology companies and seek high rates of return. They earn a profit when a company is sold or conducts an initial public stock offering. “Things in Michigan are fundamentally different than 15 years ago and better than five years ago. We’re doing well,” said Michael Staebler, an Ann Arbor business finance lawyer whose father, Neil, started Michigan Capital and Service, the state’s first venture capital firm, in 1968. The company was sold to what was then NBD Bancorp in 1980 and subsequently shut down. Comerica Bank also closed its venture capital fund in the early 1980s. During one period of the 1980s, EDF Ventures in Ann Arbor was the state’s only venture capital firm. But the number of firms is growing again. A new report by the Michigan Venture Capital Association shows that the number of venture capital firms headquartered in Michigan grew from 15 in 2008 to 20 in 2011. And there are seven more firms from outside of Michigan doing business in the state. Capital under management -- the amount of money venture firms have to invest in the state -- grew by 25 percent, from $2.4 billion to $3 billion, in that period. Data from the National Venture Capital Association and PricewaterhouseCoopers’ MoneyTree report shows that just $83 million in venture capital was invested in Michigan companies last year -- a 14-year low. But the MVCA said its more comprehensive data shows that 38 companies received $191 million in venture capital last year. The number includes 22 companies that received their first round of funding. Michigan has more than 90 companies with venture capital investments, including those in life sciences, advanced manufacturing, information technology and alternative energy. “The increasing diversification of sectors points to a positive trend in the growth of venture investment in Michigan,” the MVCA report said. Venture capital would help Michigan on another nagging problem, says Ann Arbor venture capitalist Tom Porter. "A high concentration of successful venture backed companies attracts young people and wealth and in Michigan’s case would be a critical solution to the brain drain that Michigan currently experiences," said Porter, who also is an "executive-in-residence" at the Zell Lurie Institute for Entrepreneurial Studies at the University of Michigan. "Keeping more young graduates in Michigan to fuel growth for our economy and create more vitality for our cities and quality of life is essential for Michigan to become more competitive. Is there a better way to stimulate Michigan’s lackluster economy?" Michigan also had several venture-backed companies that were sold last year, earning payoffs for their investors. The largest of those was Accuri Cytometers, anAnn Arbormedical device company, which was sold to a New Jersey company for $205 million. Michigan likely will never become anotherSilicon Valley, where venture capital funds have been critical in the launches of Apple, Amazon, Microsoft and hundreds of other companies. California, home to Silicon Valley, far outpaced all other states in the number of companies receiving venture capital investments in 2011. The Golden State produced 1,477 venture capital deals last year totaling $14.5 billion. Massachusetts was the next most active state with 309 deals valued at $3 billion. Illinois and Ohio led Midwest venture capital activity last year. Illinois had 89 deals valued at $683 million, while 60 Ohio companies received $203 million in venture capital investments. David Brophy, a University of Michigan finance professor, said Michigan has made great strides in developing its venture capital industry just in the past few years. For the past 31 years, Brophy has run the annual Growth Capital Symposium, which connects venture capital investors with entrepreneurs. He said this year’s conference, held in May, drew 450 investors and company owners, one of the largest turnouts in its history. “The general theme around it was that we’re finally forming a really good community here,” Brophy said. “All told, it’s looking very good. Brophy and others attributed the vibrancy in the state’s venture capital industry to an increased number of investment opportunities, support from state government and more interest by the state’s universities in commercializing research. All of the state’s 15 public universities have entrepreneurship programs, including degree programs, classes, clubs and competitions, according to a recent survey by the Michigan Sense of Place Council. The University of Michigan’s $5.5 million Wolverine Venture Fund involves students in the fund’s investment decisions. Since 2001, U-M has licensed 814 technologies and helped develop 93 companies from university research, said Ken Nisbet, executive director of U-M’s technology transfer office. The administration of Gov. Rick Snyder, a former venture capitalist, has recently announced several venture capital programs. One of those, the Pure Michigan Venture Match Fund, will match up to $500,000 venture capital investments in Michigan companies. “We believe in our companies so much in the state we’re willing to invest alongside any deal that happens here,” said Martin Dober, senior vice president of entrepreneurship and innovation at the Michigan Economic Development Corp. While experts say the venture capital industry is healthy in the state, they say there is always room for more available cash to grow companies. Of the $3 billion in capital under management in the state, all but $370 million of that is currently invested in companies. “There is a continuous and accurate cry for more venture funds of large enough size so they can make a significant first round investment in companies and still have money for future rounds,” said Mary Campbell, managing director of EDF Ventures.